Brian Guhman was born and raised on Long Island, NY. He moved to North Carolina after college in 1994. He has worked in the custom millwork industry for 15 years. 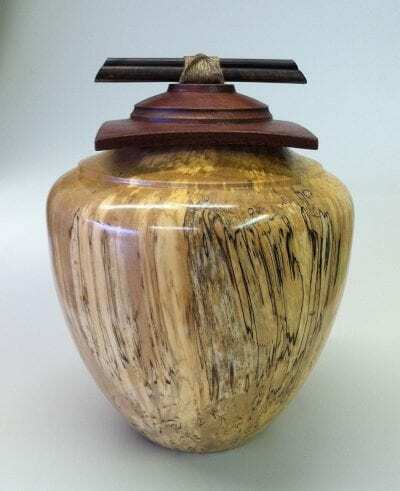 Brian has been wood turning for 6 years and teaching it for 3 years. 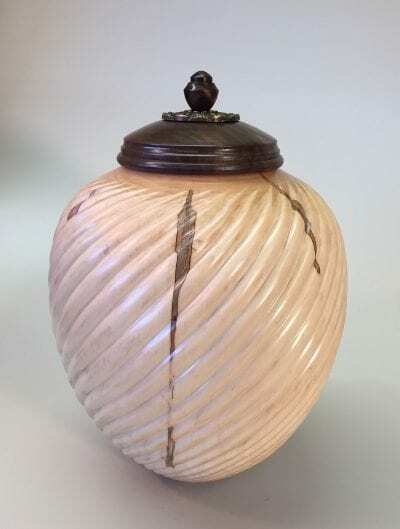 He started making cremation urns 2 years ago and no two are the same. Brian loves working with wood and the unexpected surprise of cutting into fresh local logs he gets from tree services. The majority of his work is made from local green(wet) wood. Brian searches for unusual and interesting pieces of wood. 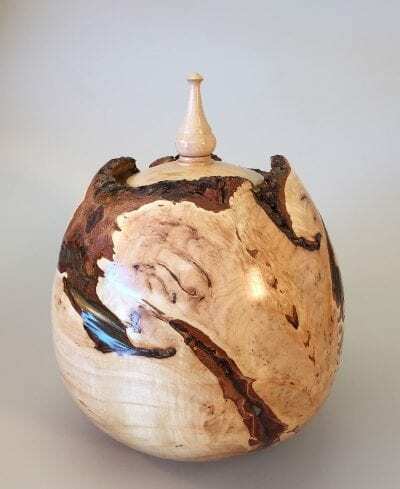 After being turned on the lathe, it is slowly air-dried. 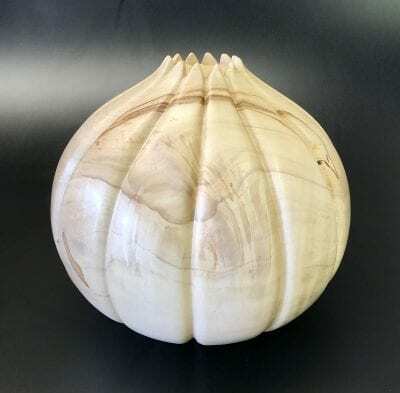 As the wood dries, it moves creating a piece that is slightly oblong instead of circular. The surface also becomes slightly textured.